Vincent van Gogh’s letters – principally addressed to his brother Theo – but also to fellow artists, friends and relatives are unquestionably one of the most articulated, rich and revealing harvest of an artist’s thoughts, feelings and emotions. This quite abundant documentation (819, of which 658 are to his brother Theo and a further 96 to others) referring to such a controversial and yet amazingly gifted artist is now available online thanks to the great effort of the Huygens Instituut and are also on exhibition at the Van Gogh Museum from October 9th to January 3rd “Van Gogh’s letters: The artist speaks”. The museum has arranged over 120 letters matching over 300 art pieces already part of its collection. Additionally a six-volume publication “Vincent van Gogh – The Letters” containing 902 letters edited by Leo Jansen, Hans Luijten and Nienke Bakker has been recently published. It actually is a truly complete edition, the most comprehensive on the market (2164 pages) with plenty of illustrations (4300 images) and commentary notes; plus a CD-ROM of the letters in their original languages (Dutch, French) – however pretty much the same that are published online. Van Gogh’s letters show a lot about his remarkable art, and include also sketches briefly embedded within his writings merely meant to explain to his brother the path that his mind, heart and soul were following when deciding what to paint or draw. It is a wonderful experience to follow up the inspiration and creation process and thus witness how Van Gogh eventually painted many of his masterpieces. Through his letters Van Gogh shows his geniality and tormented state of mind, but also – in spite of his insanity, poverty and constant uneasiness – his extraordinarily humanity, sympathy, religious soul and incessant search for peace and beauty. Reading them is a great experience, not simply in terms of biographical curiosity or artistic speculation; I consider it mostly a journey through a greatly endowed and sensible human mind and soul. Mercedes Sosa, “la cantora popular” symbol of the struggle against dictatorship and civil rights in Argentina, died today at age 74. Unquestionably the greatest Latin American folk music singer was hospitalised last month In Buenos Aires as a result of renal dysfunction. Here above she sings one of my favourite South American ballads. In 60-year career, she performed all over the world, shared the stage with the most famous artists and poets such as Victor Jara, Pablo Neruda, Ignacio Villa and Atahualpa Yupanqui, she leaves an incomparable artistic heritage. Born to underprivileged parents in San Miguel de Tucumán on July 9, 1935, Haydar Mercedes Sosa started her career at a very young age, impressing her public with passionate traditional popular songs. Eventually achieving her great success in the Sixties, in 1967 she performed in a extensive tour throughout the United States, Russia and Europe. Venezia, city of Art and History accepts the modern multimedia challenges in order to broadcast its beauties and fascination. As of July 3rd, Venice has launched its project Cittadinanza Digitale (Digital Citizenship), an extraordinary undertaking which will grant public free Wi-Fi access for residents, workers and students, powered by optic fibre access points (band 20Mbit/s) and broadcasting all over the Serenissima lagoon. “I consider it a necessary infrastructure as much as roads. A very important change for the city: since this Friday people can interact online with the Town Council and other local authorities, but also with the rest of the world, and for free”. The grand opening has included several interesting initiatives, such as a boat leaving from Piazzale Roma (the outpost of Venice mainland) towards the Lido (the heart of the lagoon), filled with laptop/camera fully equipped bloggers creating on the spot their own multimedia content and posting it online in real time on their weblogs and websites while still sailing. The service is absolutely free for all Venetian residents, workers and students (even minors provided the written permission of their parents) who will simply have to apply online for a username and a password, showing their citizenship credentials. As to tourists, lovers of art and history, they will have to wait next Autumn: they will be enjoying the Wi-Fi service by getting a temporary access to the network at http://www.veniceconnected.com/ only for a nominal fee. Johann Sebastian Bach composed three cantata in honour of St. John the Baptist. Cantata 167 (1723) – a tenor aria plus a duet for soprano and alto, with a chorale finale. Cantata 7, (1724), with a fantastic opening chorus and a 12 movimento marvellous Cantata BWV 30 (1738) a parody of from a previous secular cantata Angenehmes Wiederau. In truth this latter (named BWV 30a) was a laudatory cantata composed to celebrate J. C. Hennicke’s appointment as high official of Wiederau. Thus Bach’s BWV 30 has been re-written – a practice quite diffused and accepted in those years – in order to fit as cantata for June 24th feast of St. John. Yet, in spite of its derived origin (numerous Bach’s parodies are nevertheless worthy e.g. Weihnachtsoratorium BWV 248 or the h-Moll-Messe BWV 232), this cantata retains all its fascination and suavity. Bernard Moitessier (1925-1994) was born in Saigon (at that time French Indochina) son of a French import/export entrepreneur. His family (he had two brothers and one sister) lived in accordance with the colonial style of those days: strongly tied to social conventions, classy outlook, etiquette worshipping and business orientations. His childhood was strongly influenced by the long summers spent with his brothers in a fishermen village on the Western Vietnamese coast. After completing his studies at a peculiar agronomic high-school (since he failed attending any regular high school), he tried to work for his father’s company, but sitting at his desk, lost in paperwork and pursuing moneymaking goals he felt too restless and definitely unhappy. He soon started dreaming of a different life. Further to his Hommage à Allen Ginsberg: a tribute to his friend and one of the greatest American contemporary poets – performed last June 30th at the Odeon Theatre in Lyon – on July 13th Philip Glass is going to commemorate (twenty years after his tragic death) another major American artist and friend: Robert Mapplethorpe. The show in Lyon “Footnote to Howl – The Poet Speaks”, presented by Les Nuits de Fourviere was enriched by the presence of Patti Smith, whose poetry was highly inspired by Allen Ginsberg. A marvellous combination of poetry and music has been flowing around the venue capturing the audience. Dense of emotions, read by Patti Smith, the lines of one of the guru of the Beat generation, preaching freedom and peace, were accompanied by piano solo Philip Glass – Ginsberg’s comrade in the famous opera “Hydrogen Jukebox”. I seek for perfection in form… a subject rather than another makes no difference… I try to capture what appears “sculptural” to me. Starting from this late Spring in Brussels Les Musées Royaux des Beaux-Arts de Belgique, in cooperation with the Fondation Magritte and the financial institution Groupe Suez will be housing the world’s largest museum dedicated to René Magritte, the Belgian artist so dear to the European capital. In fact Magritte was born on November 21, 1898 in Lessines, but in 1914 moved to the capital to study at the Académie des Beaux-Arts and moreover in Brussels he established the Belgian surrealist group which comprised E.L.T. Mesens, Louis Scutenaire, Marcel Lecomte, Paul Nougé, André Souris and Camille Goemans. He will leave Brussels for France in order to escape from the German occupation during WWII. The newly established Magritte Museum will be open just on the Place Royale hosting a major collection of over two hundred creations by René Magritte. They will include, but will not be limited to, the collection belonging to the Musées Royaux des Beaux-Arts as they will comprise many purchased pieces – as well as result of the legacies – of Irène Hamoir-Scutenaire and Georgette Magritte. Additionally several private collectors, together with public and private institutions, have contributed to the Musée Magritte project by lending their own artworks. The exposition “From tomorrow to Delvaux” has publicly opened the new exhibition rooms of the “Museum Curtius” with its collections of archaeological, decorative, religious and Meuse art. This rather complex installation was meant to celebrate the opening of the renovated – and renamed museum – “Le Grand Curtius” this Spring 2009 together with the inauguration of the Guillemins Train Station designed by the famous Catalan architect Santiago Calatrava. Thus the City of Liège chose in this occasion to rely on his honourable citizen Paul Delvaux “the painter of train stations”: the expo focuses on the ubiquitousness of train stations, trains and trams within the oeuvre of the late Belgian painter Delvaux. The selected works have been assembled from several local and foreign museums – as well as from other private collections. Le Grand Curtius (after a recent 50 million Euro refurbishment) is probably the most prominent cultural venue in Liège housing in his eight floors a great deal of archaeological exhibits and decorative arts, including Mosan artworks, silverware, antique furniture. Within its old masterpieces (dated 1000 A.D. circa) it holds a figure of Christ from Amay, a 10th-century manuscript that once belonged to Bishop Notger named the Evangeliaire, a wooden tympanum with the “Mystery of Apollo” and an amazing Madonna by Dom Rupert. Books. readings and education have always moved along together, intuitively and actually the growth of a nation’s level of alphabetization relies on the diffusion of press and books, quite as much as schools. Nevertheless sometimes, the fascination of books and learning improvement may take unusual turn. Thanks to the innovative idea of a Cuban public librarian Saturnino Martinez in late 1800 public readings of literature classics to the employees started within the premises of a cigar manufacturer “El Figaro” in Havana. It was 1865 then, and over two thirds of the population could not read or write. Martinez was born in the North of Spain – Asturias – and once in Cuba, profiting of his experience and acquaintances in his mother-land labour movement proved to be very active among his Cuban co-workers. He also founded the first Cuban labour newspaper “La Aurora”, who had a successful circulation within the cigar-factories workmen, denouncing the bad working conditions and the great ignorance into which the personnel was held. Martinez was also the founder of the first Cuban Trade Union: “La Asociación de Tabaqueros de Habana” established in 1866. Unfortunately he was deported to Spain because of publishing on his periodico “La Union” articles manifesting his favour towards the First International. However the movement spread over the country and by the end of 1880 workers were grouped in unions to fight for their rights. The art of transmitting straightforwardly emotions is not necessary based on spoken communication, this concept is crystal clear to Veronica Green a young rising and yet already recognised visually-oriented artist from New Zealand. Throughout my life, art has been a visual vehicle to express myself, to articulate ideas when they go beyond the range of spoken language. Based in Wellington, but with Italian and Polish roots, Veronica successfully attended the Massey University, where she majored in contemporary Maori Art (Toi Atea) which is still now unquestionably one of her primary sources of inspiration. Her techniques mainly include acrylic, dyes and oils on canvas, but also other materials such as cotton, spray, golden or silver leaves. This eclectic palette of tools and colours allows her quite a set of versatile creations that range from mythological echoes and rituals with a South Pacific visual touch, to modern architectural-urbanistic settings, through fable scenarios of her homeland landscapes. Veronica Green is remarkably fascinated by Maori cultural anthropology and religious cosmology as reflected in its traditional visual art and attempts to transfer her knowledge and experience paradigm to other cultures. Consequently she seeks for, investigates and gathers icons, signs, analogies and allegories from within diverse societies in order to convert them into art-material for her creations. I confess it has been several years that I have not paid the deserved attention to the alternation of the four seasons. Nevertheless this particular year – for some strange reason – I feel quite enthusiastic at the newly come Spring. 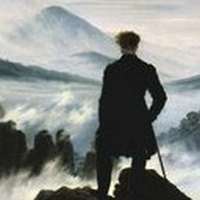 Thus, following what appears a sage and salubrious weblog tradition, I wish to share this awakening accompanied by this absolutely extraordinary version of Mozart Divertimento in D major K 136. Oftentimes an eminent masterpiece is hardly appreciated by its contemporaries and only subsequently, for some strange reason, praises and lauds become as copious as fashionable… Such is certainly the case of George Frideric Handel’s “Serse”. In spite of Handel’s first public presentation of his Italian opera “Rinaldo” in London, which was an extraordinary triumph, Xerxes did not receive the same critic and was definitely a theatrical fiasco. Maybe because of its lame plot: the unfruitful attempts of the Persian King Xerxes to win the heart of the beautiful Romilda: or maybe due to its tragicomic melange considered inappropriate by the connoisseurs and unintelligible to the audience; or maybe because of a bad Xerses interpretation by the soprano castrato – albeit I find it hardly to believe, being him the highly celebrated Gaetano Majorano (known as the great Caffarelli), student of the famous Neapolitan maestro Nicola Porpora. However Serse’s prima took place in April 1738 at the King’s Theatre in Haymarket, London, but was discontinued soon afterwards (just four replica) and has been almost neglected ever since. Only in occasion of the 300th anniversary of Handel’s birth (1985) it was retrieved by the English National Opera and finally gained its deserved success becoming one of the most fortunate Baroque operas of our days. Alain René Lesage is essentially renowned for his vast and prolific playwright activity. His dramatic production previously for the “Théâtre Français” – mainly addressed to a more sophisticated and aristocratic audience; and lately for the “Theatre de la Foire” – characterised by a bourgeois and rather lower class public, gave him both financial stability and even success. Born in 1688 in Sarzeau – a small village of Southwest Brittany, he lost prematurely both his parents (a well off notary public and his housewife) and was consequently raised and educated by Jesuits in a board school in Vannes. Once accomplished his juridical studies and admitted to the bar in Paris, he reluctantly started his legal practice whilst instead showed and followed his natural disposition toward writings and poetry – initially without any success, though. In 1694 he married a Spanish woman who devotedly spent her entire life by his side granting him his much desired domestic warmth and stability; soon afterwards, with the support of his mentor the Abbey of Lyonne, he finally started his fairly successful career as dramatist. Takashi Murakami (Tokyo, 1962,) is an highly eclectic artist whose graphic and symbolic expressions brilliantly combine contemporary pop-art ideas, current anime and manga themes to the more established Oriental canons of painting and sculpture. Graduated in Japanese Painting at the University of Fine Arts & Music of Tokyo he became famous after his autoritratto Mr. DOB (1993) which practically became for a long while his avatar, signature and almost nom de plume. The DOB personage is a clever mix of fashionable Japanese anime and North American pop-art and has evolved along the next ten years becoming more and more gloomy and spectral from the happy DOB’s March of 1998 to the monstrous Gero Tan (2002) passing through the brutal features in The Castle of Tin Tin (1998). More recently Murakami also depicts himself as Inochi, a slim, lean legged, egg-shaped teenager; once again the artist tries to symbolize modern ordinary life in Japan under the influence of the otaku – a subculture which unites isolated adolescents, infatuated and fanatic of anime and manga. The scintillating splendour of the decaying imperial Vienna, and the ruinous destiny and tragic end after the First World War of its Mitteleuropa intellectual supremacy, are the main pillars of Hugo von Hofmannsthal’s meditations, writings and entire artistic production. Born in Vienna (1874) to a wealthy Jewish family, Hugo von Hofmannsthal was a studious enfant prodige, bright protagonist of the Jung Wien and definitely one of the finest writers of the disappearing “Austria Felix”. Poet, novelist, playwright and even librettist – his name is linked to some of the best Richard Strauss’ operas and Max Reinhardt works – von Hofmannsthal perfectly embodies the decorum, irony and melancholy of the sunset of an era. He is the overwhelmed and impotent witness of the capitulation of a culture – his culture: the Vienna fin siècle. Unfortunately he will have to attend to the miserable closing stages of this splendid, classy, slow paced, intellectual environment: unrepeatable humus for some of the greatest artists and masterpieces of all times. “with the possible exception of Menuhin, is the most incandescent talent I have ever heard”. Born Józef Chasyd in Poland to a Jewish family in 1923, lost his mother when he was still a little boy and almost concomitantly started showing a quite timid and reclusive temperament, an introverted nature that worsening accompanied him until his tragic late days. Nevertheless, since his boyhood he revealed a great musical talent becoming one of the most famous pupils of the celebrated Hungarian maestro Karl Flesch. He received an honorary diploma in the 1935 at Warsaw’s Henryk Wieniawski Violin Competition (won by Ginette Noveau) where also the great David Oistrakh, Henri Temianka and the young Ida Haendel participated. Apparently poor Josef, whose touch was undeniably excellent, suffered a temporary amnesia during his performance, most probably due to his highly emotional disposition. His depressive and melancholic temper was greatly accentuated by a disillusioned and highly contrasted adolescent romance that blossomed during his sojourn in Spa, where Karl Flesh used to teach violin summer classes. It seems that due to the religious differences between the two youths, the love-story was brusquely sedated by their parents.